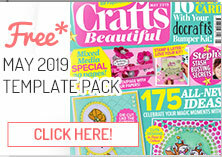 Crafts Beautiful February Issue Out Now! Are you all set for spring? We can’t wait for the brighter days to arrive at Crafts Beautiful so our brand new issue is packed full of all the best the new season has to offer. Inside our February issue (once you’ve opened up your bonus gift! ), you’ll find vibrant makes, expert advice, amazing offers and more. Pick up your copy from 31st January 2019! 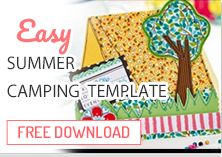 Every seasoned crafter knows that there is no such thing as too many stamps. 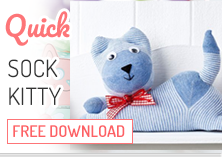 Add a few sweet sentiments and a whole host of adorable animals to your collection with our 32-piece gift! We’ll even give you a few tips on how to use them – our designers have come up with 19 detailed card designs for the set too. Stock up your stash of spare birthday cards as Tracey Daykin-Jones uses one simple die set five different ways. Quill crimped flowers with Liz Moad, learn how to block print all new backgrounds with Sara Naumann or craft a shimmering unicorn greeting with Kitty Frampton. There’s all this and more to make inside our new issue. Hear from some of the biggest names in the craft world and meet a few new personalities with columns, interviews and tips from top makers. This month we’re making it our mission to craft a little greener this year – pick up a few hints on how to be more eco-friendly with expert advice from Max McMurdo, PlatiKote and more. We always like to offer our readers a little something extra when we can, so we’ve got all sorts of goodies up for grabs in our new mag. Enter our giveaways to be in with the chance of winning stash supplies from Duck Tape and Tonic Studios or just get away from it all with prizes from Forest Holidays and Buyagift! Are you embracing mixed media for 2019? Then look no further! Inside our 18-page Colour Creative section, you’ll find all our favourite buys from paints, pens and papers to tools and books. We also have an inspiring chat with watercolour artist, Harriet de Winton, and show off ways to expand your crafty repertoire. Flicking through a new craft book will never leave you short of inspiration. 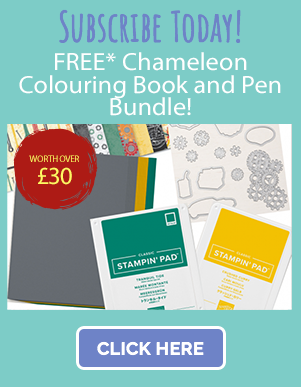 We’re always looking for fresh ideas and trying out new crafts so we thought, ‘Why not make it a little easier for our readers too?’ Snap up craft books with 50% off when you claim our exclusive offer!